Vince Vaughn looks unrecognisable in his latest film as he steps away from being the funny man in Hollywood comedies to a very stern inmate in prision. We know Vaughn for making us laugh in legendary comedies such as Wedding Crashers, The Internship and Dodgeball: A True Underdog Story. However, in his next film we will see a completely different side to the actor as he takes on the most serious role of his career in Brawl In Cell Block 99. In the upcoming action thriller, Vince Vaughn plays a former boxer turned drug runner who lands himself in a prison battleground after a deal goes deadly. The trailer gives you a glimpse at Vaughn’s new look, which includes a tattoo of a cross on the back of his head. We already know that we will see a darker side to one of our favourite comedy actors. People on social media are very excited to see this new side to Vaughn. This isn’t he first time we have seen Vaughn tackle drama as he wowed us in series two of True Detective. However, this time he is more brutal, savage and fierce than ever! 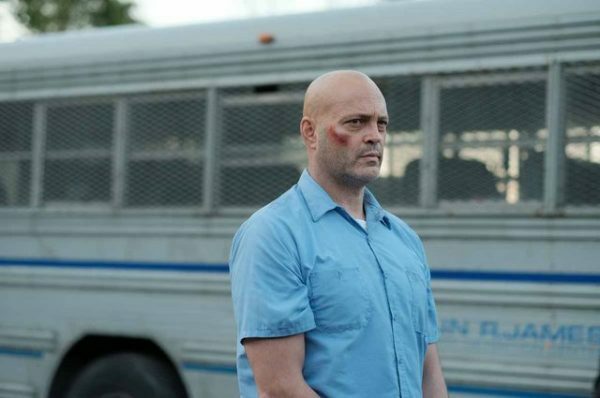 Brawl in Cell Block 99 will be released in cinemas October 6 and will be available on-demand the following week.